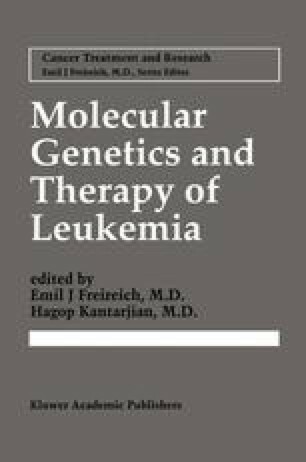 Disease relapse after allogeneic bone marrow transplantation (BMT) for hematologic malignancies remains the single most important cause of treatment failure [1–4]. Improvements in supportive care, prophylaxis of graft versus host disease (GVHD), and treatment of infectious complications have resulted in a decrease in transplant-related mortality during the years. However, modifications in the conditioning regimen and other strategies to prevent relapse have failed, and the relapse rate after allogeneic transplant has remained constant throughout the years [5,6].